The Video Element allows you to upload HD quality videos (up to 1 GB per video) directly to your site, and display that video in a professional, unbranded player. The Video Element is available under the "Multimedia" category of elements. To use it, click and drag it to your desired location on a page. Then simply click the player and a dialog box will open from where you can select a video from your computer (if a box does not open, then click the blue Replace Video button to open it). Weebly supports M4V, MPG, MOV, WMV and most other standard video formats. 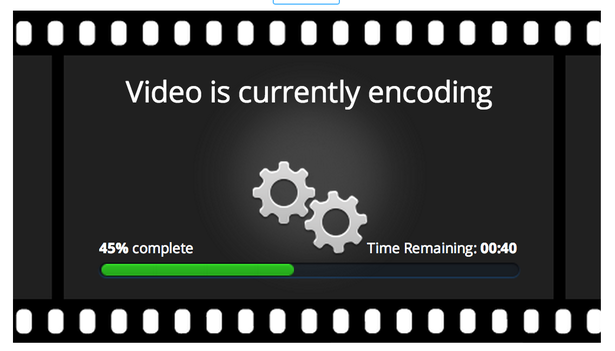 Once the encoding process is complete you'll be all set and your video is ready to watch. You can upload an unlimited number of videos to your site, the only limit is that no single video can be larger than 1 GB by itself. Which means you can't upload any 1.5 GB videos to your site, but can upload as many 950 MB videos as you want. You can alter the size of the video player (among several presets) using the blue toolbar that pops up when you click on the element. Something to remember: if you're using Windows Movie Maker or iMovie, the files created when you use the Save option in these programs are not video files. They are editable files that are meant to be used with each program. Be sure to Export your final video from either program to ensure you have a video and not an unusable document file. To Export a video from iMovie go to File > Export. To Export using WMM go to Publish Movie > Export to File.